Brent Bolte, assistant coach and defensive coordinator, has been named interim head football coach for the Bemidji State University Beavers, BSU Director of Intercollegiate Athletics Tracy Dill announced today. 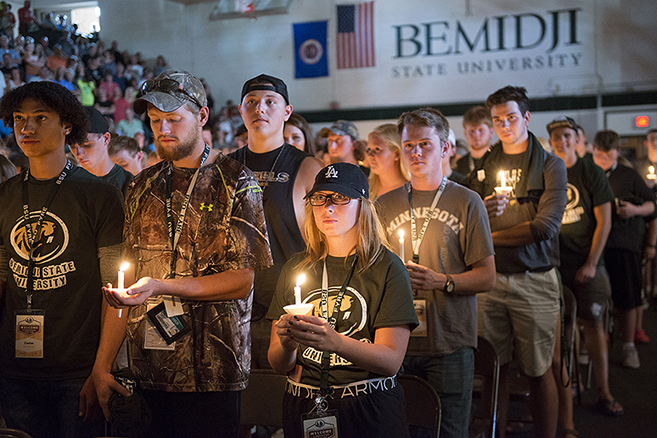 Bemidji State University’s Department of Music kicks off its annual Bemidji Concert Series on Sept. 8 with the Alash Ensemble. 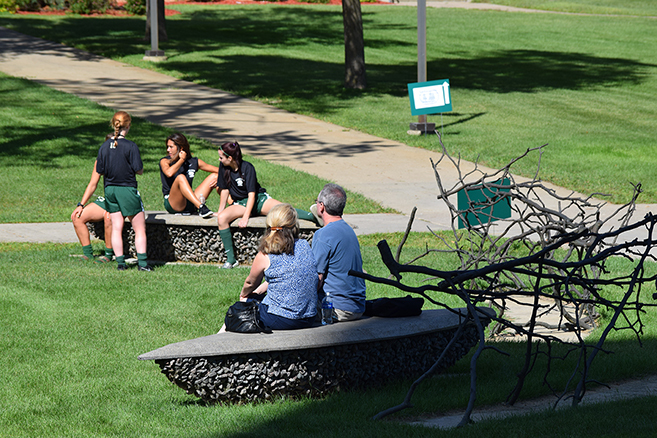 The six-concert schedule culminates with a visit by the Minnesota Orchestra in May. 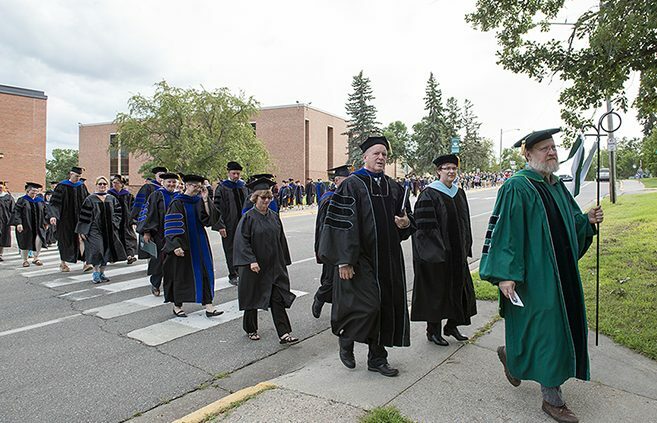 Bemidji State University’s online bachelors degree program in applied engineering has been recognized among the most affordable online programs in that subject by OnlineU. 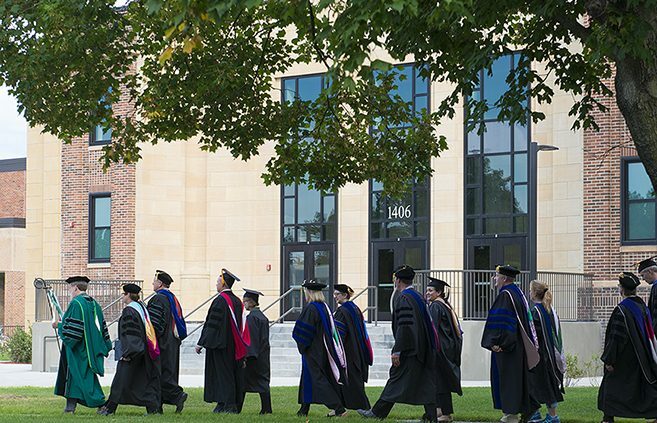 Natalia Himmirska, an associate professor in Bemidji State University’s TAD School, will reveal a glimpse into her creative process in “Book Marks,” an exhibition of paintings opening Sept. 1 in BSU’s Talley Gallery. 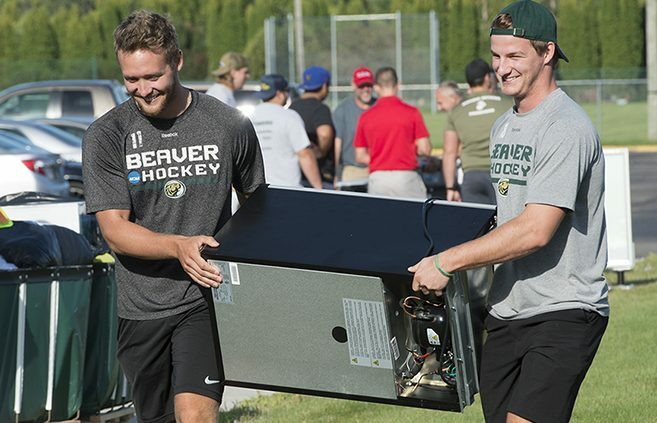 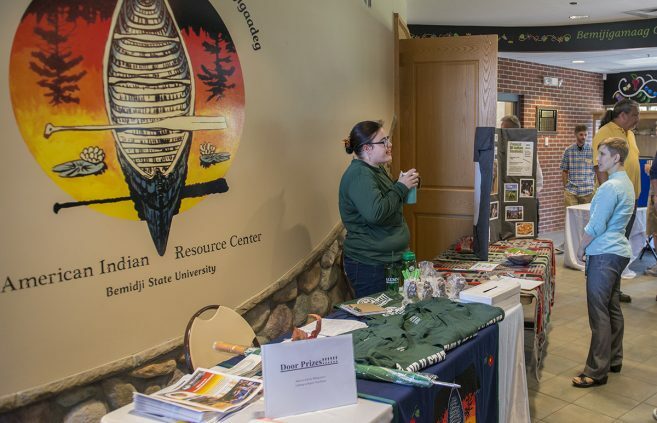 On Aug. 31, Bemidji State University’s Sustainability Office and the Northwest Clean Energy Resource Team are sponsoring a pair of events for members of the community and energy professionals to learn more about electric vehicles and their use in northern Minnesota. 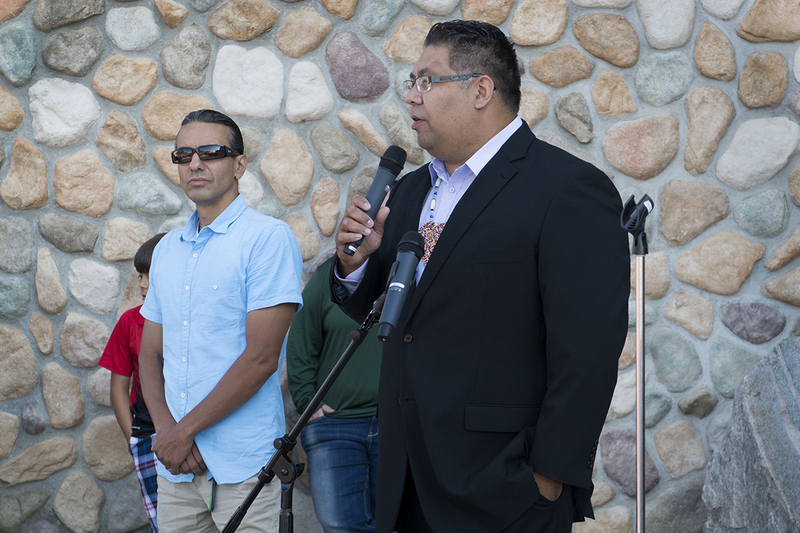 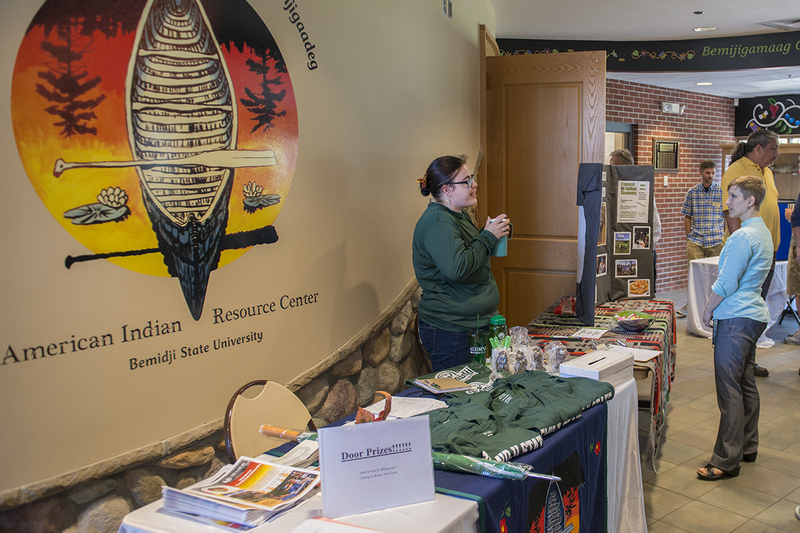 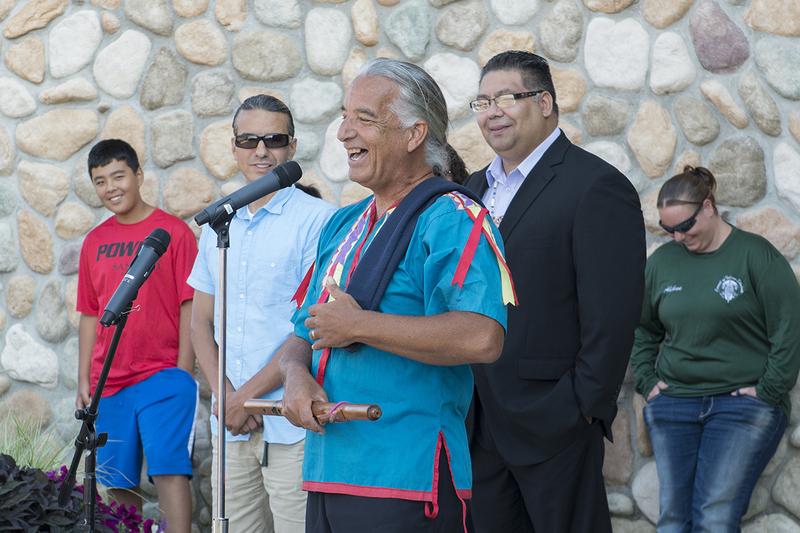 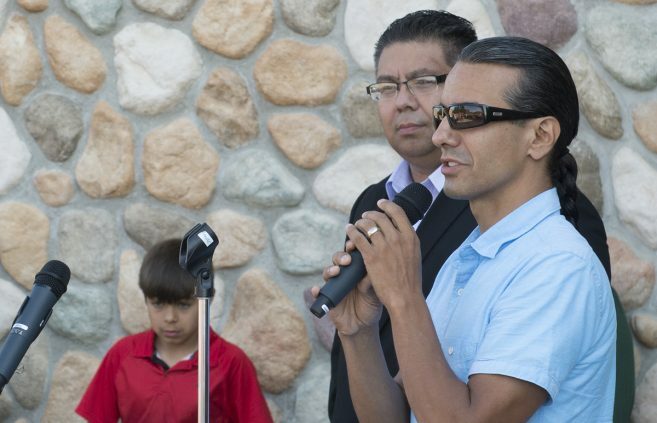 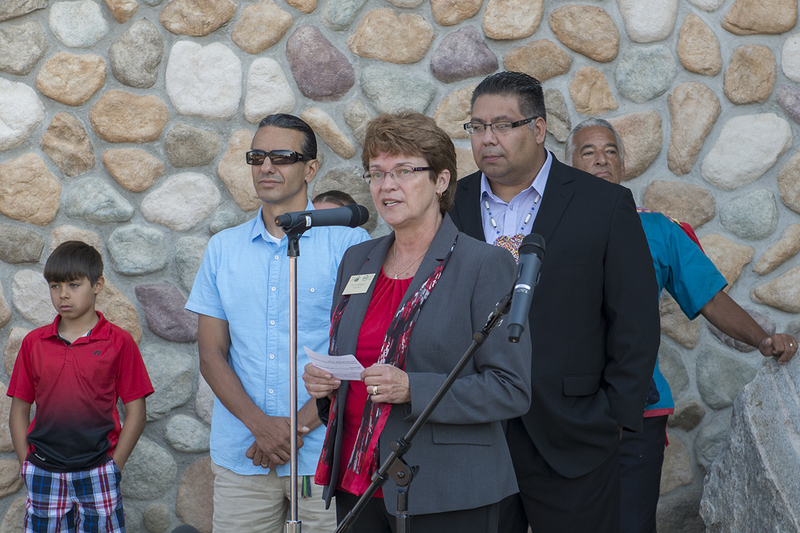 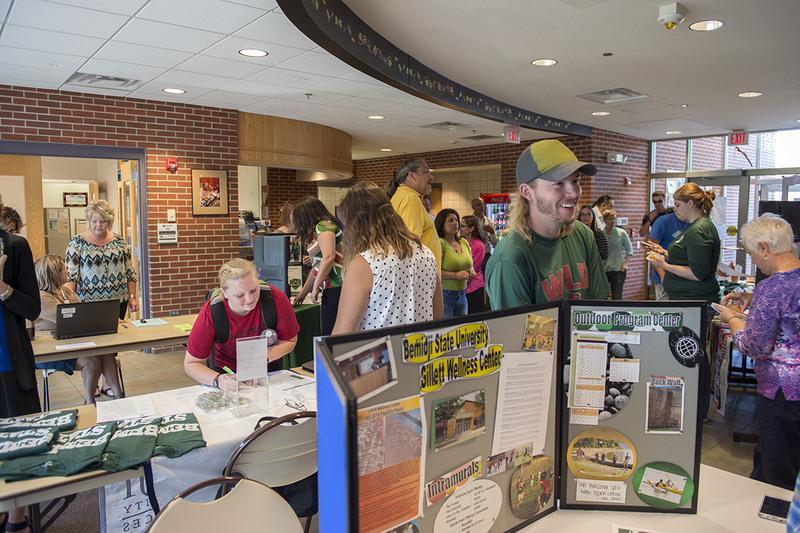 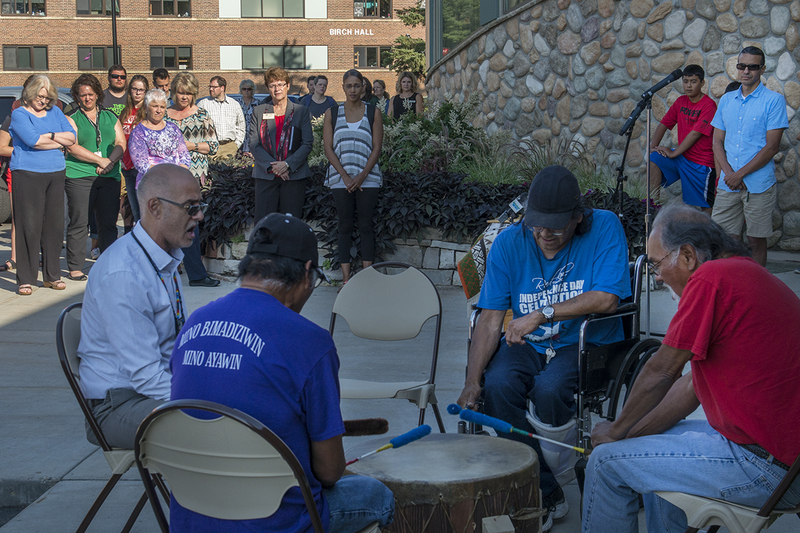 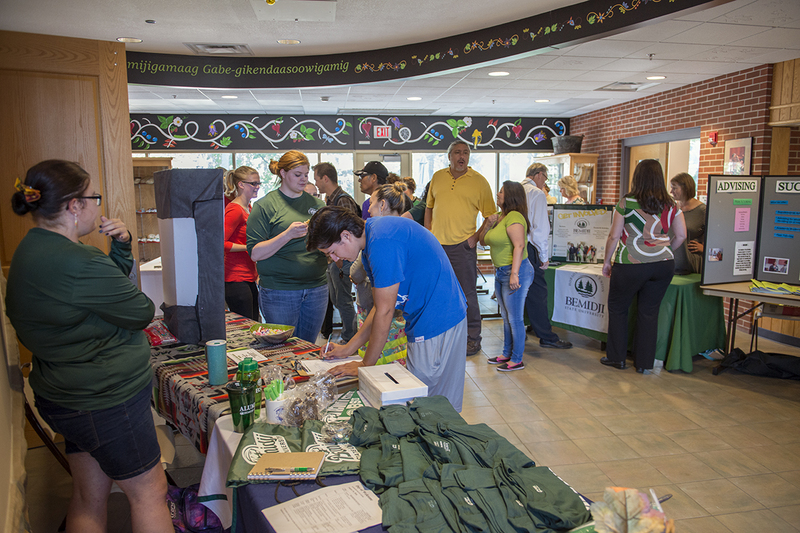 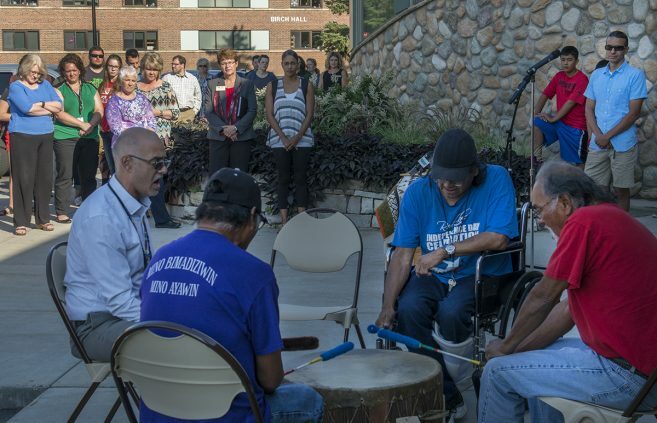 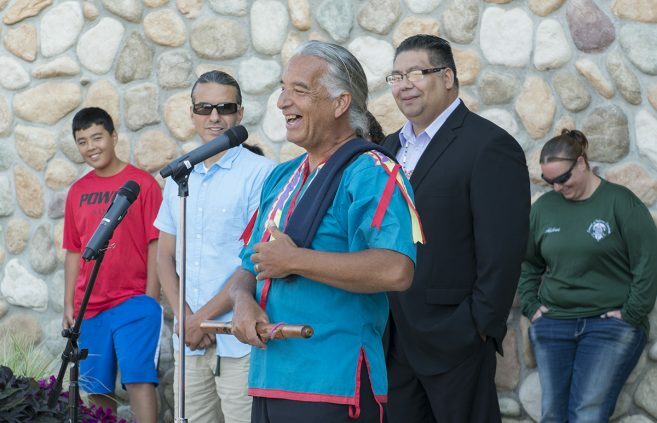 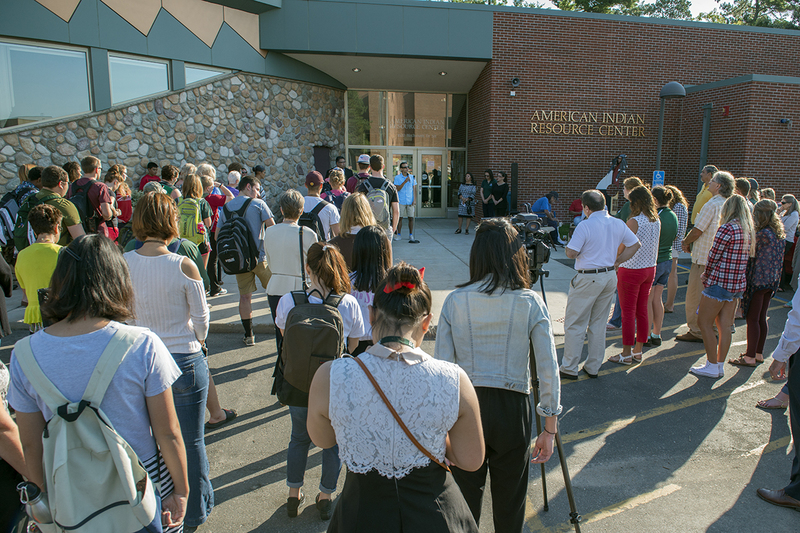 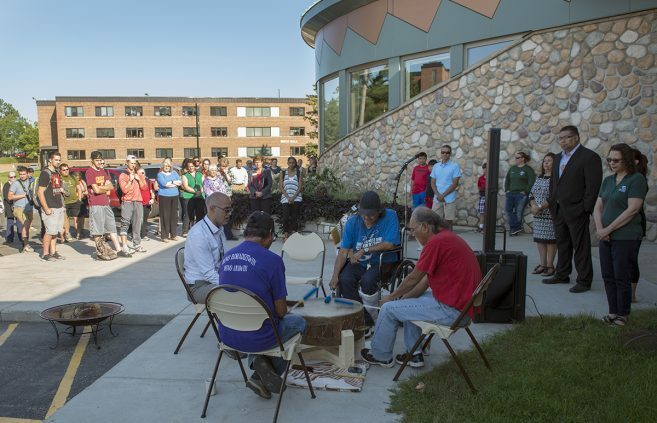 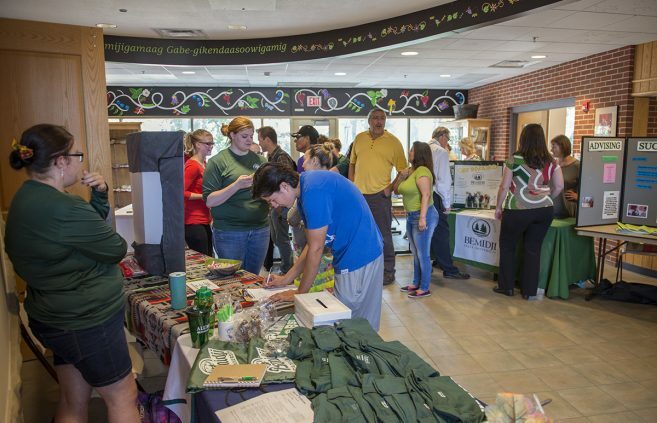 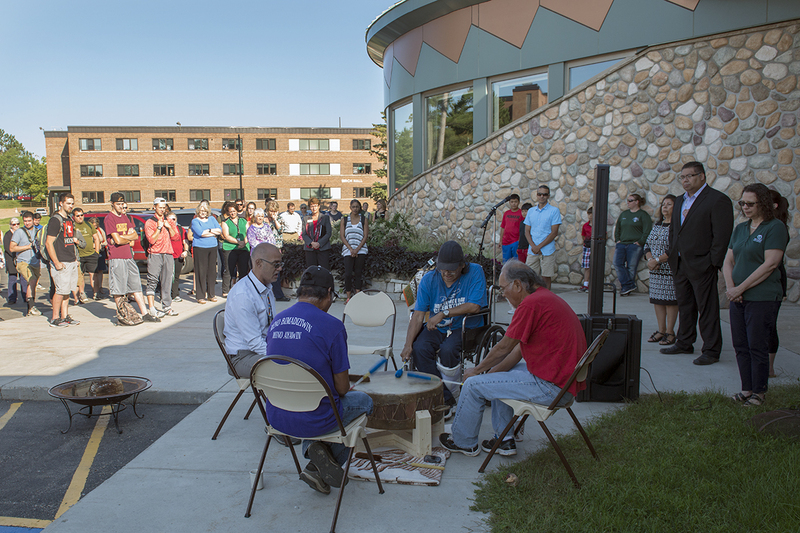 Bemidji State University’s American Indian Resource Center held its annual Day of Welcome on Aug. 24, the center’s traditional kickoff celebration for a new academic year. 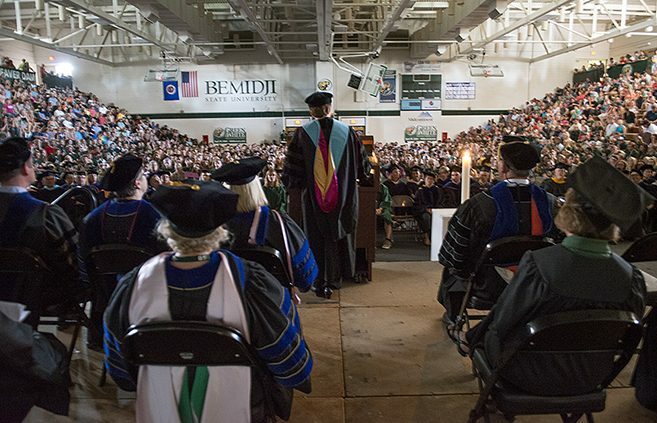 Ten Bemidji State University professors have received tenure, and a total of 16 faculty promotions have been announced for the 2016-17 academic year. Of the promotions, eight are to full professor. 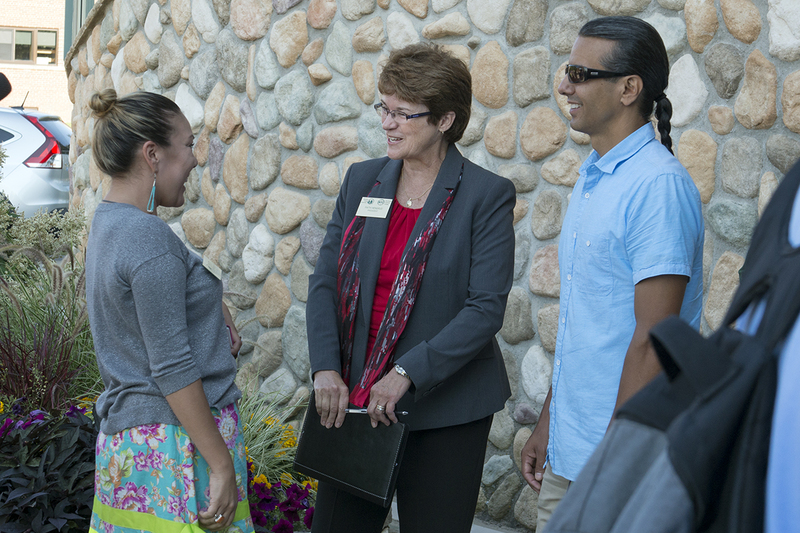 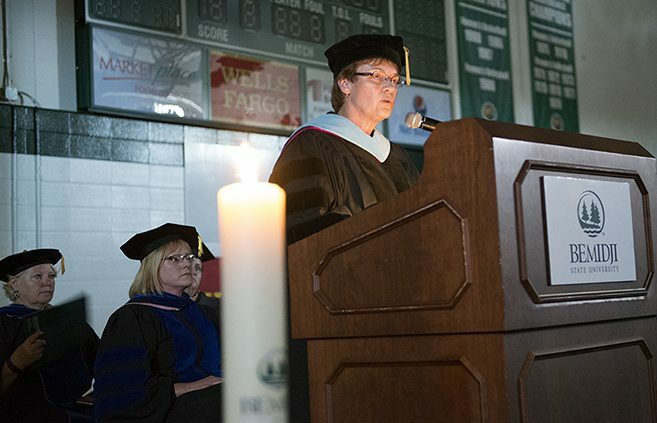 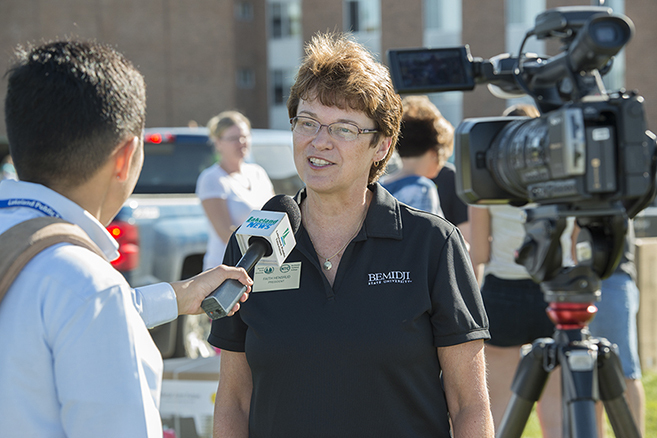 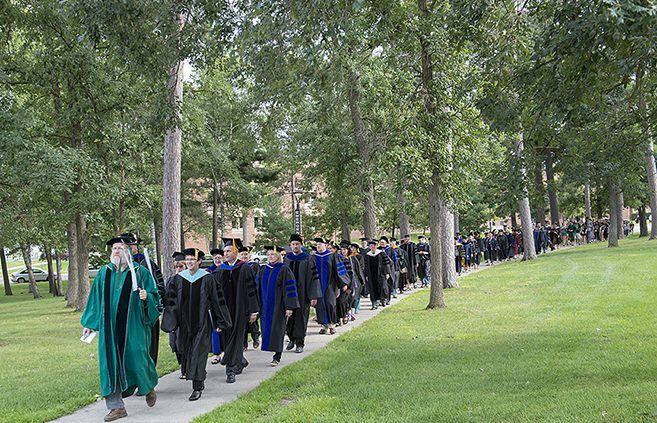 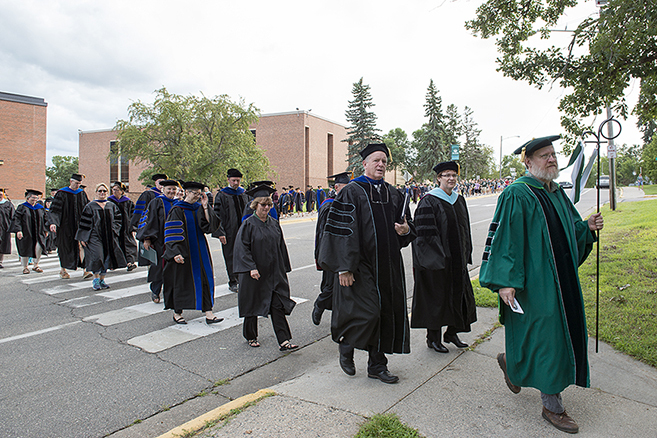 After my first seven eventful weeks as the new president of Bemidji State University and Northwest Technical College, this past Friday felt like a whole new beginning. 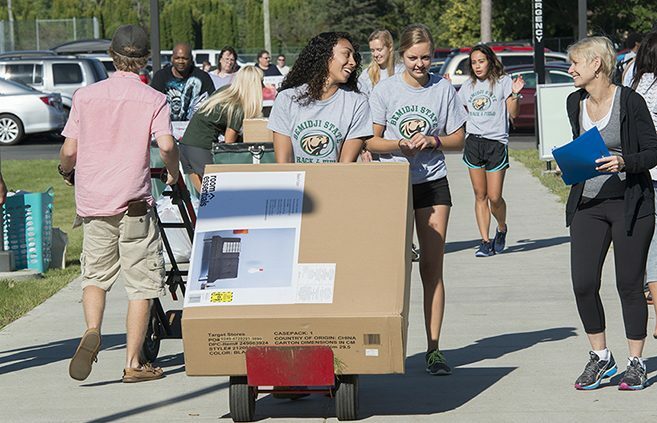 It was Move-In Day at BSU, and a crowd of new freshmen were arriving at our residence halls with boxes in their arms and dreams in their hearts. 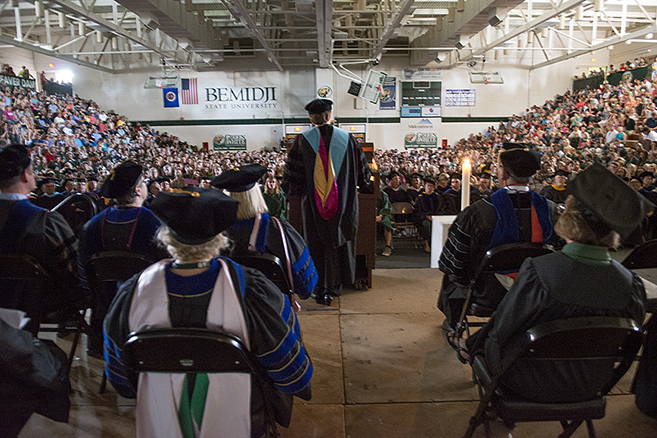 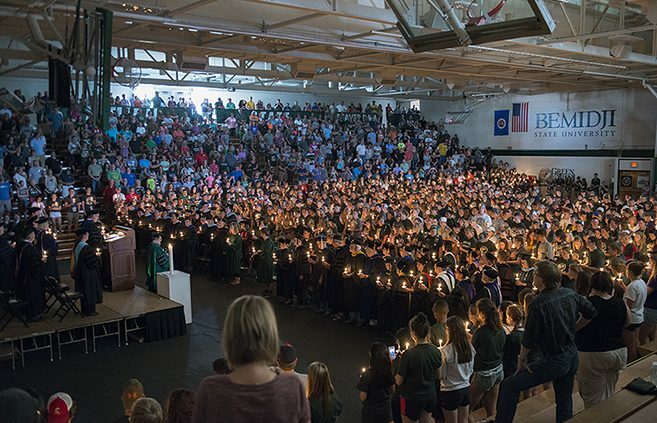 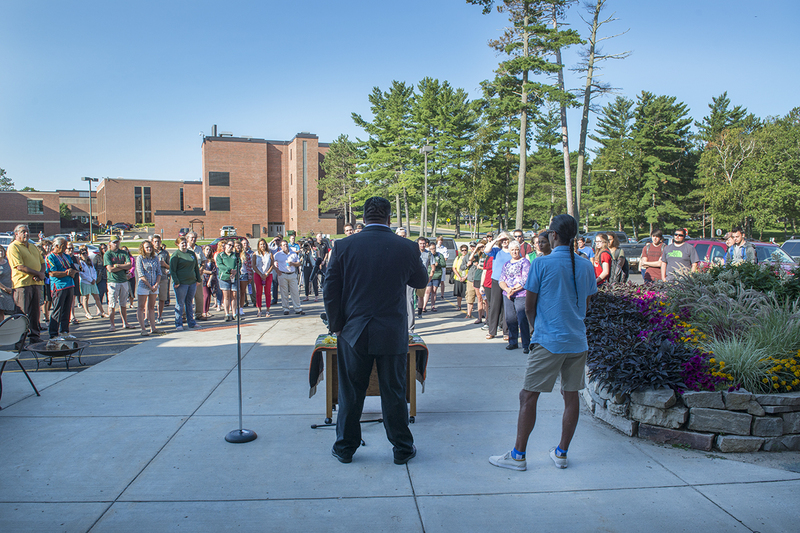 Students, faculty, administrators and parents gathered in the BSU Gymnasium on Aug. 19 for the annual Convocation for new students. 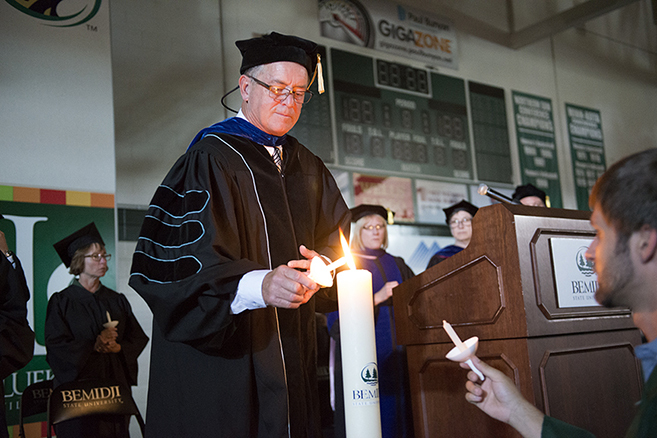 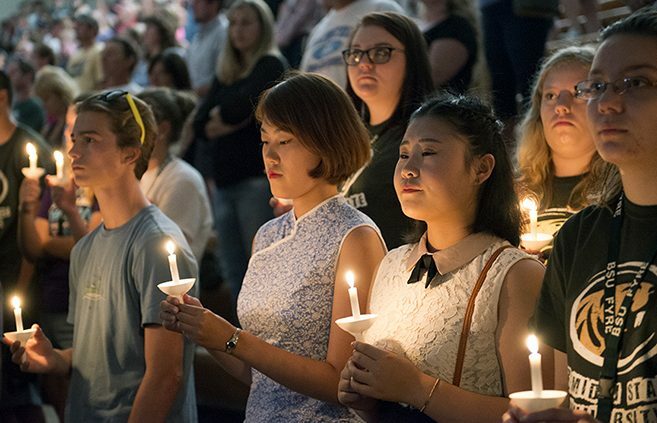 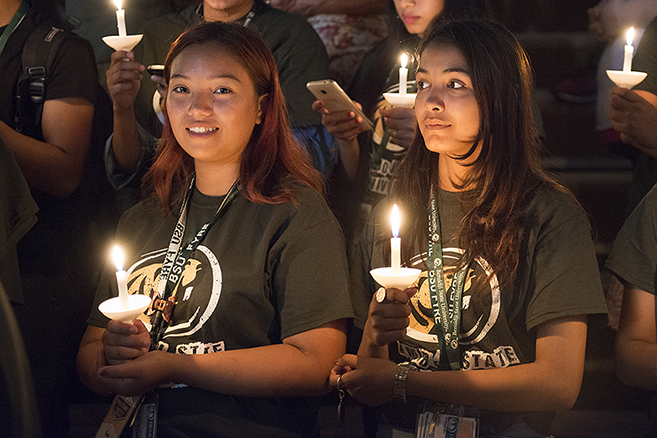 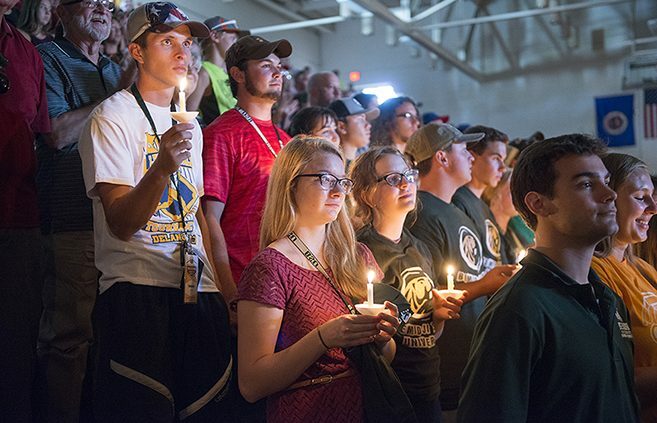 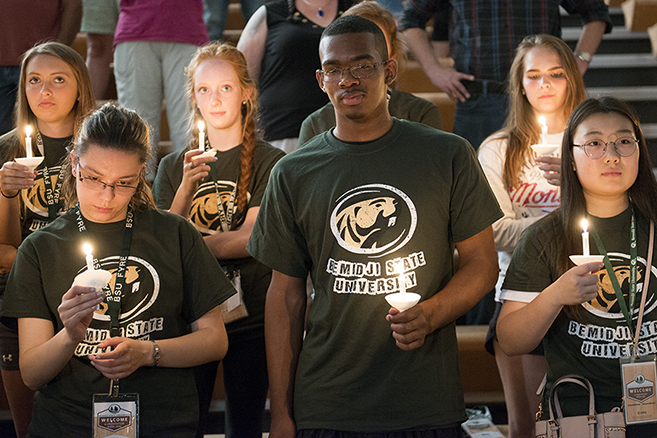 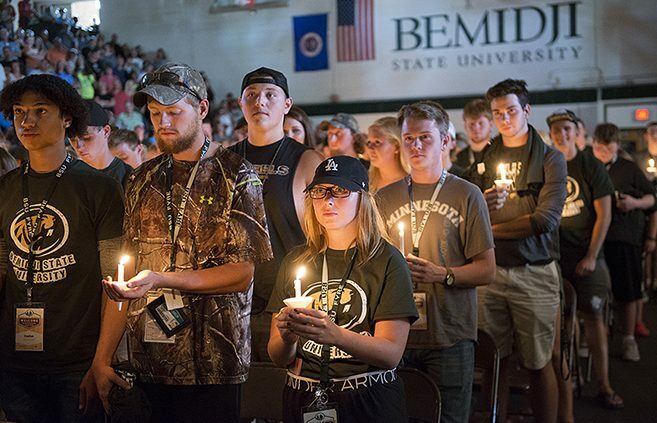 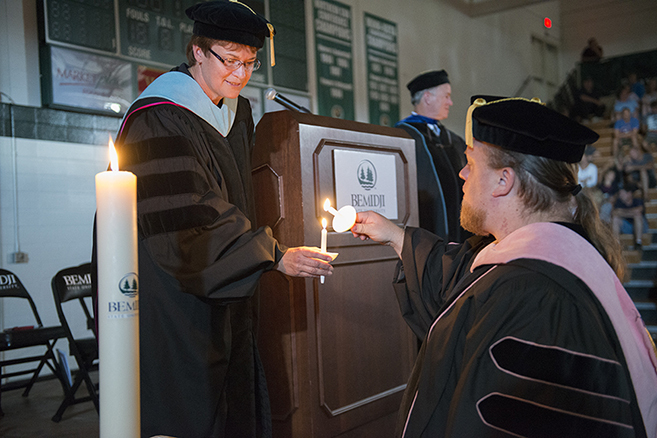 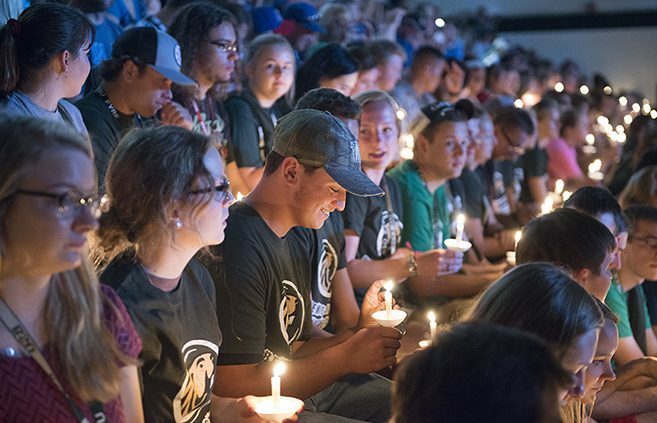 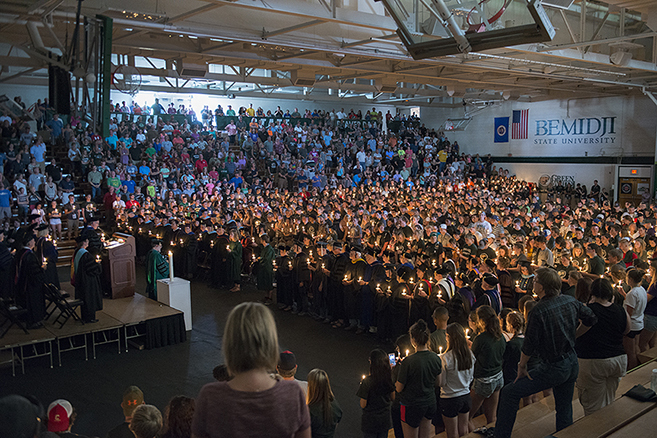 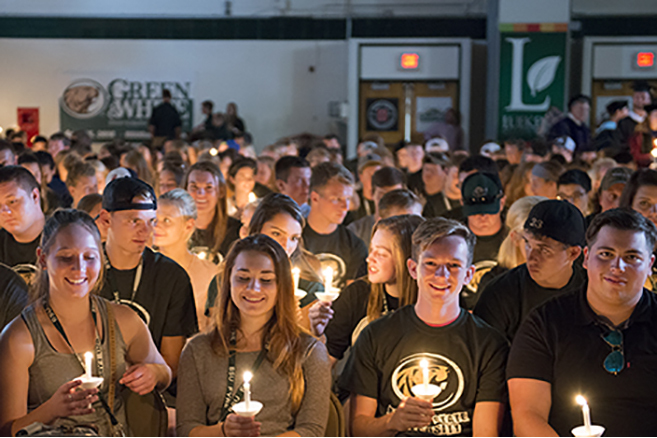 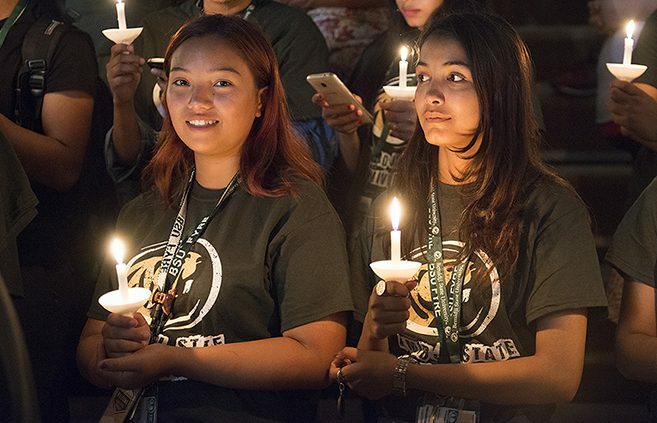 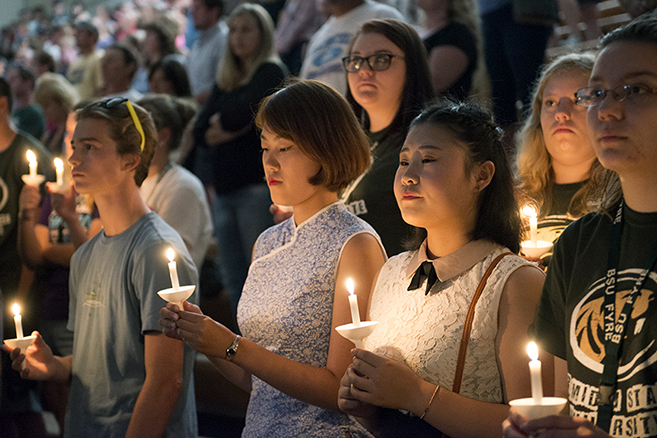 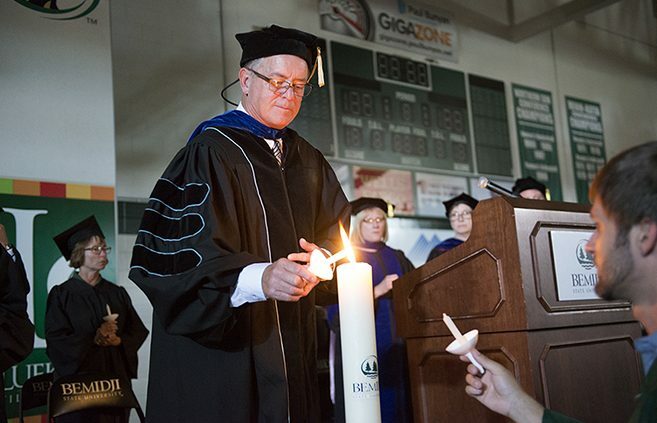 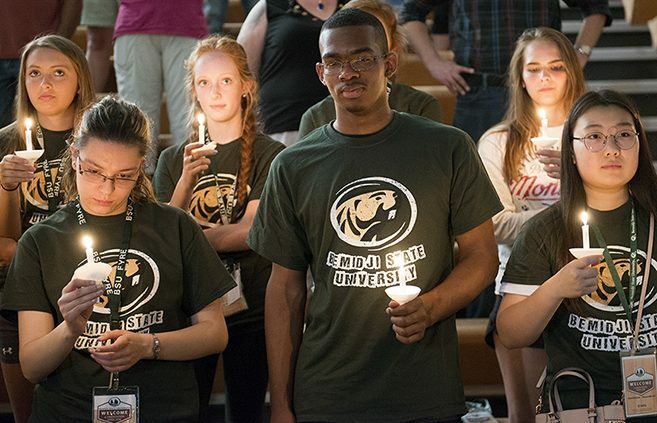 The traditional candlelight ceremony marks the beginning of each student’s academic journey as a member of the BSU community. 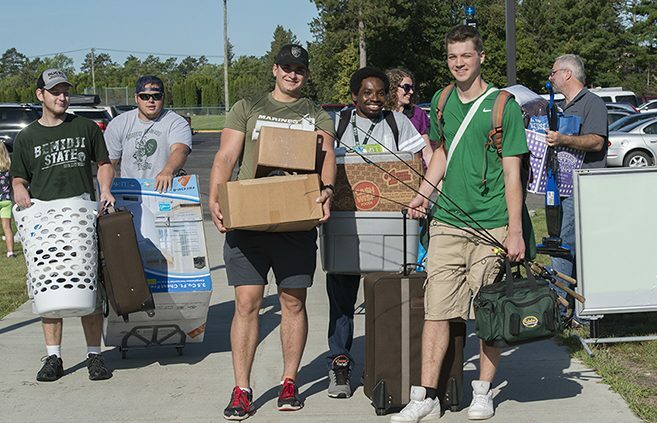 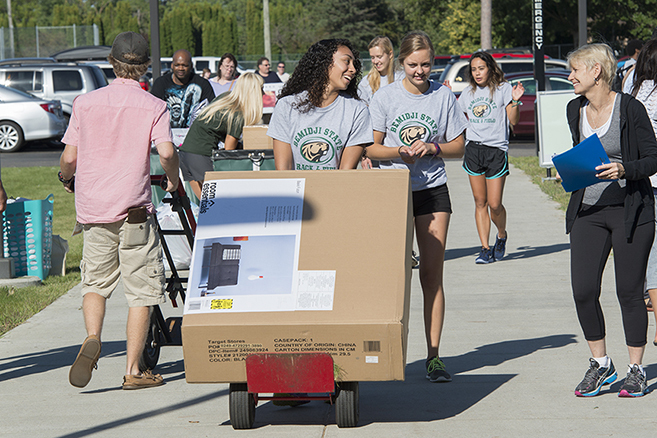 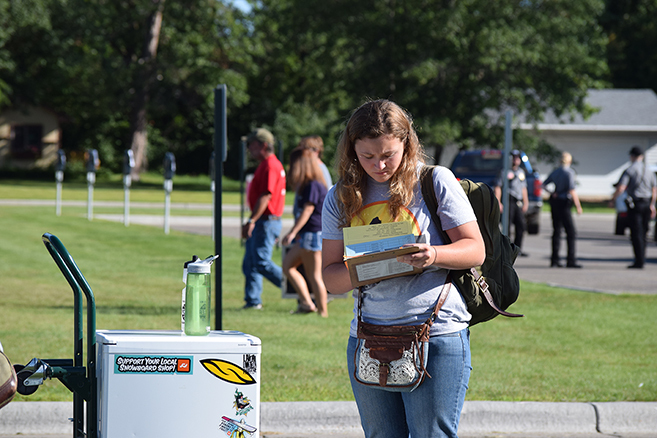 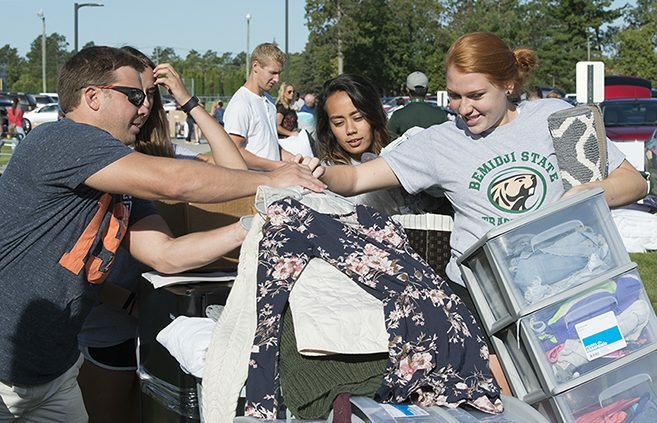 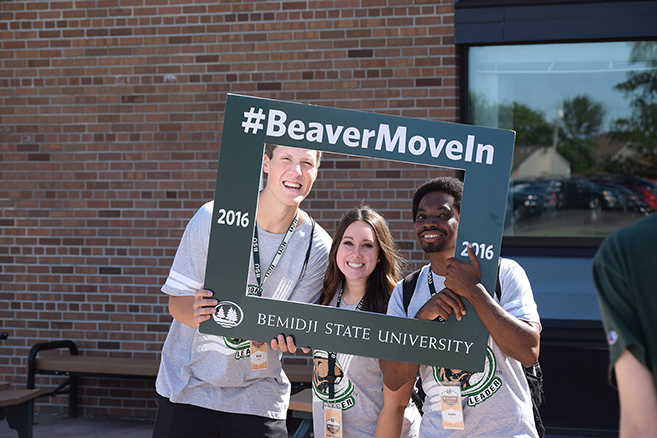 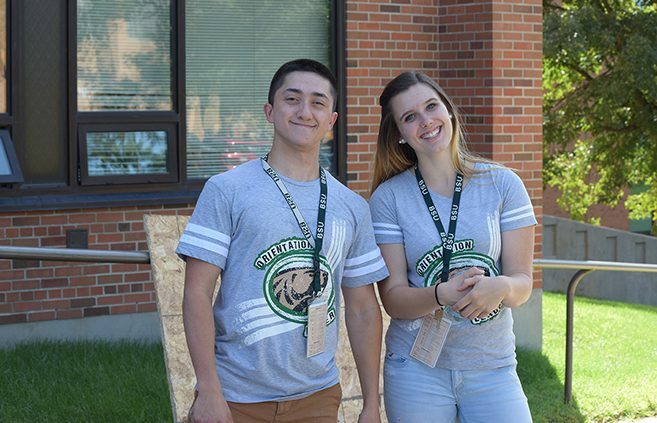 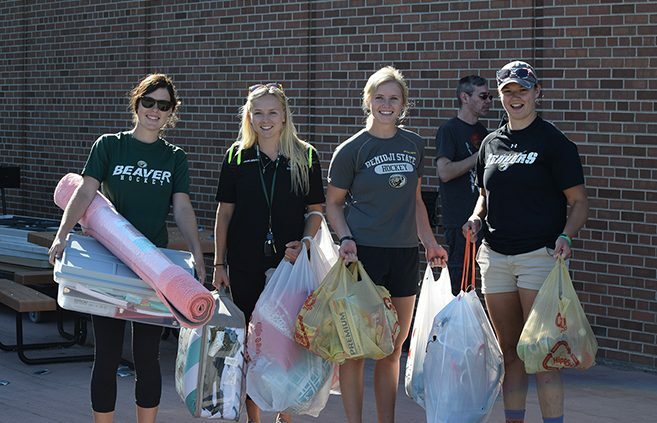 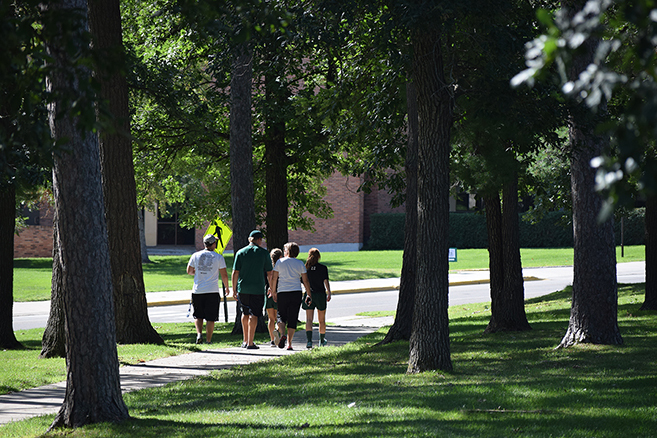 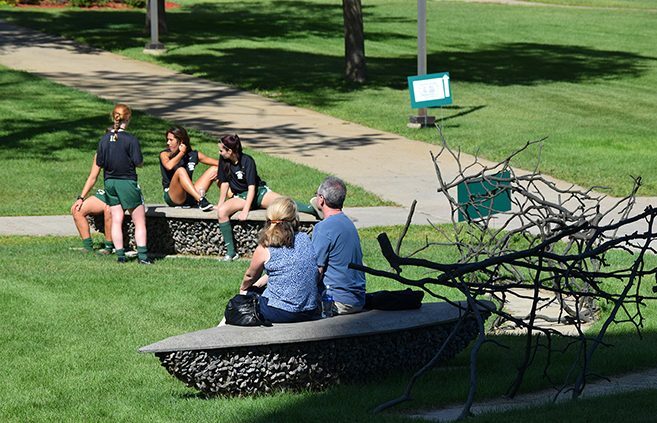 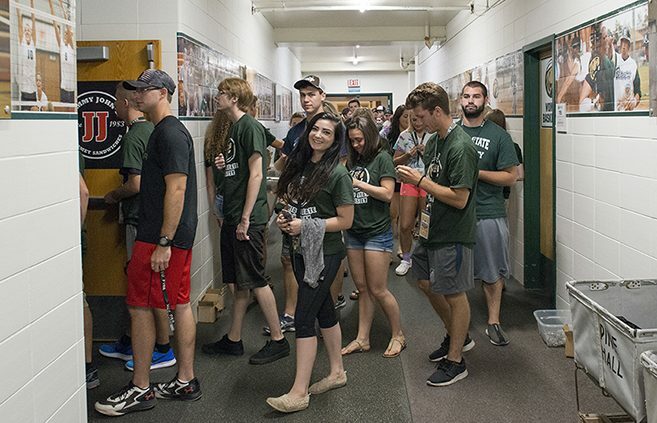 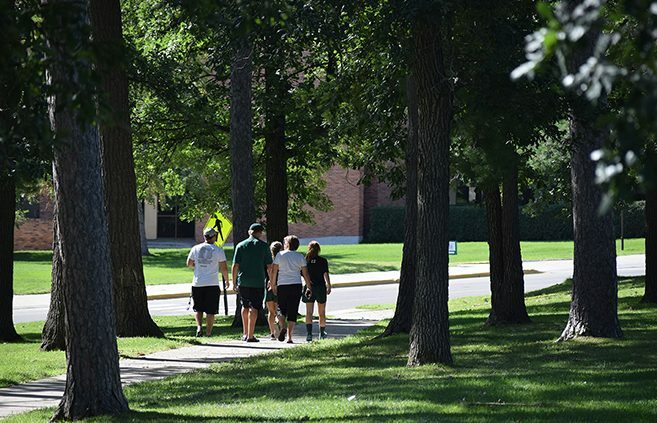 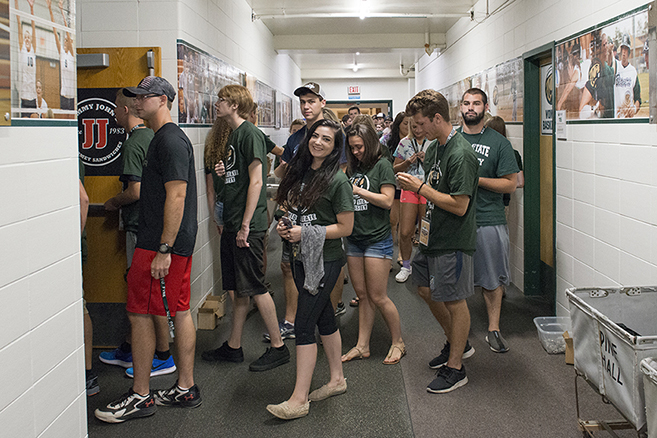 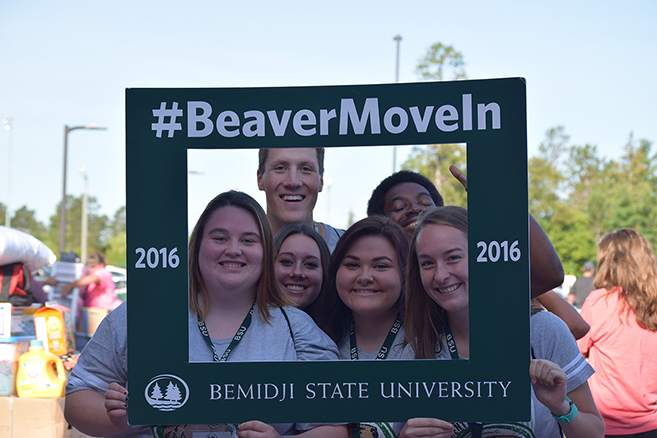 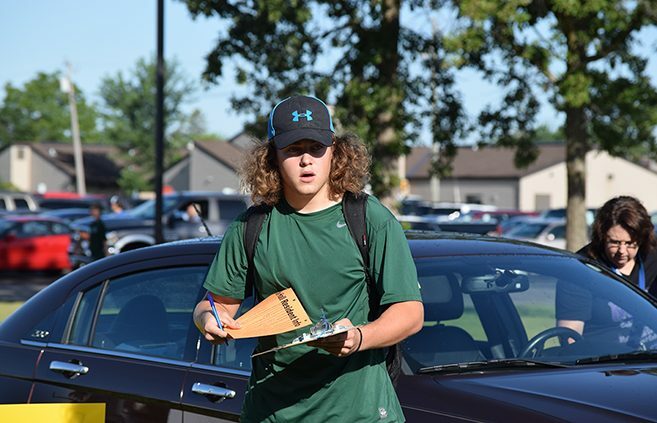 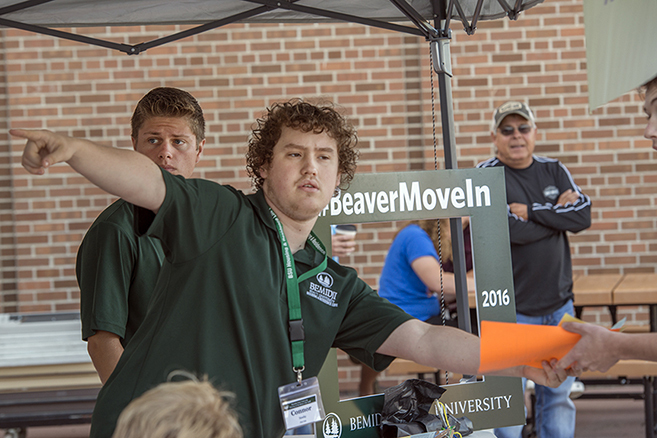 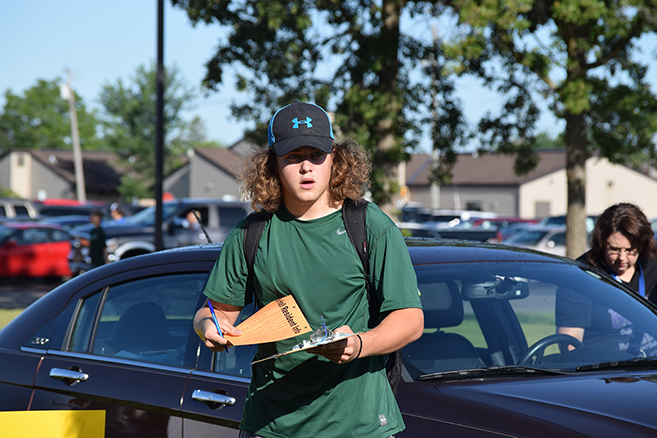 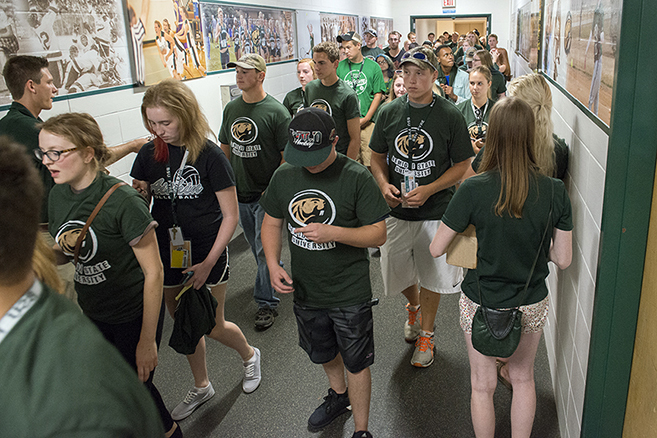 More than 740 freshmen moved into their new homes in Bemidji State University’s residence halls during fall Move-In Day on Aug. 19. 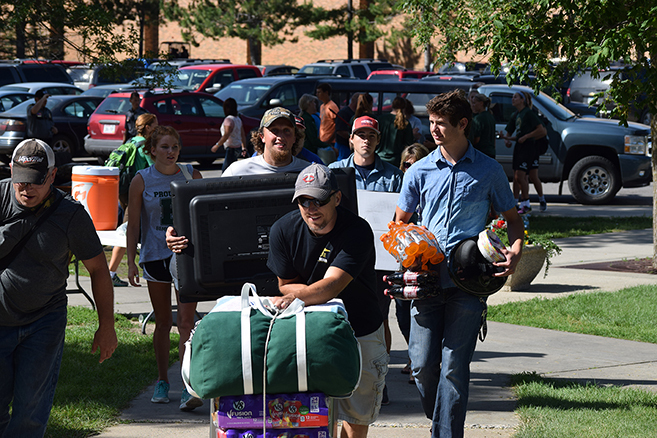 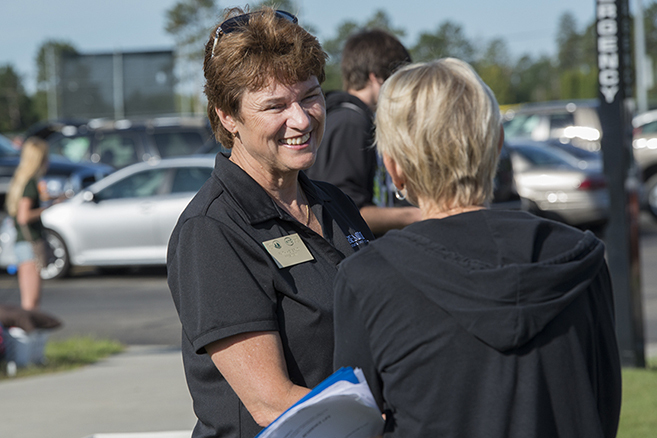 Around 500 freshmen moved into Oak Hall, while more than 200 moved into Tamarack Hall.